We’re passionate about bridging the opportunity divide and providing students with experiences that help them envision what their future careers might look like. 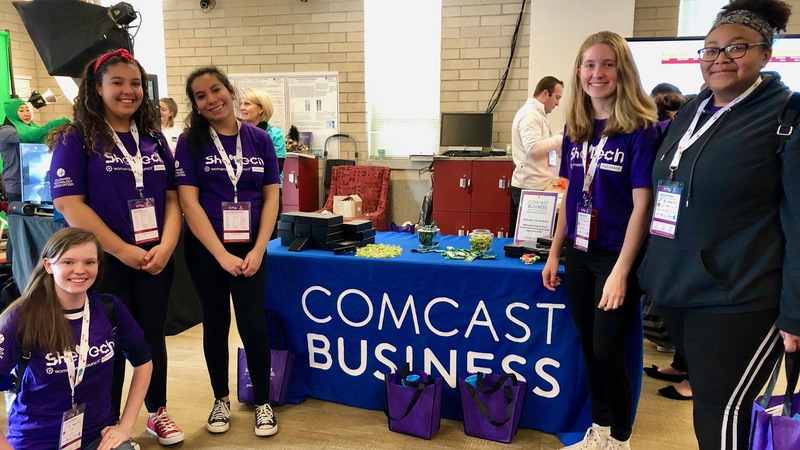 So, for us, participating in events like SheTech Explorer Day with the Colorado Technology Association is exactly what we love to do. 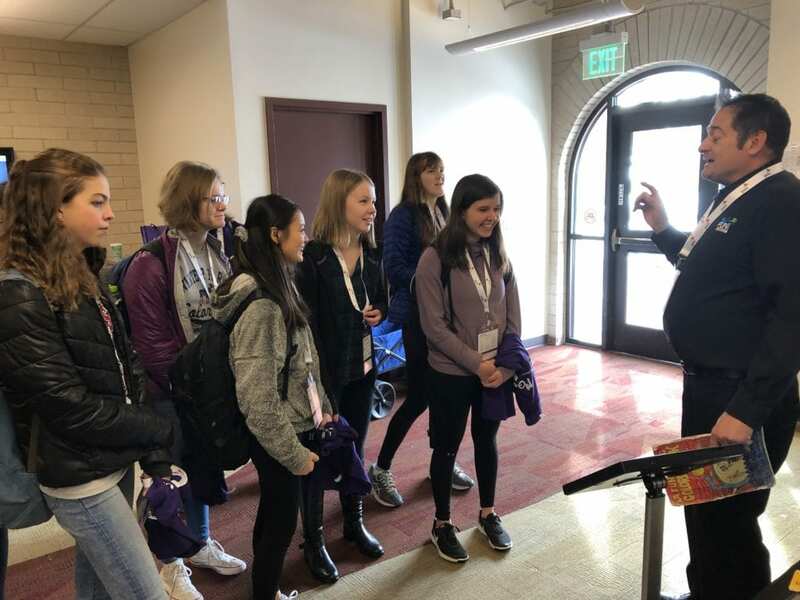 During the event, 100+ high school girls from eight school districts across Colorado participated in hands-on activities teaching them about science, technology, engineering and math (STEM), alongside women leaders in a variety of STEM careers. 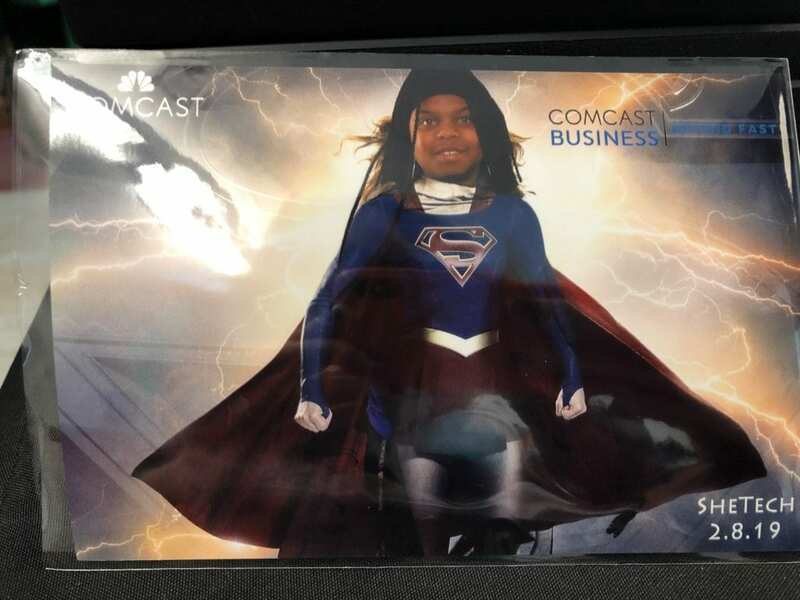 In partnership with the Comcast Business team, we hosted a green screen experience where the students learned about why green is the preferred background color for productions, allowing professionals to replace the real background with a digital background, like Super Girl! 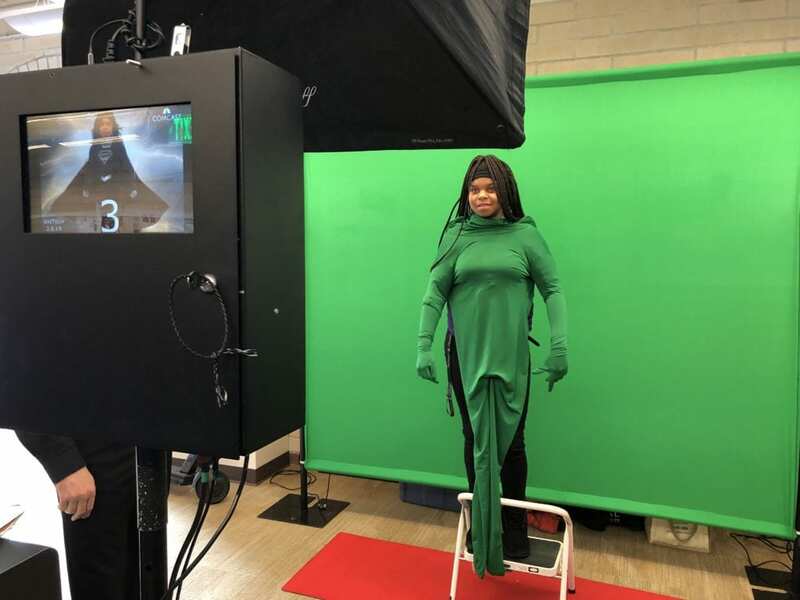 Rheagan Washington of Northfield High School posing for the green screen experience. Rheagan chose to attend SheTech as she is interested in becoming a cyber engineer, and was eager to see the different experiences and activities taking place at SheTech. By exposing girls to STEM at a young age we hope to encourage them to take the next step by attending classes, getting certified, applying for internships and getting scholarships to continue their education. Technology is a powerful driver of innovation and economic growth. That’s why we invest our resources in ways helping our communities realize the transformative potential of media and technology to solve problems, improve lives and to create opportunity. A group of students learning about how and why green screens are used as backdrops.